Cubis is a different kind of matching game that can be played either online or downloaded. Different color cubes must be matched up either vertically or diagonally across three dimensions in order to clear them. To complete a level, a certain number of cubes must be cleared before the time runs out. If you don't mind being addicted to great puzzle games, give it a try! Play the tutorial. There are a variety of different cubes and strategies you can use to clear a level, most of which are explained in the tutorial. 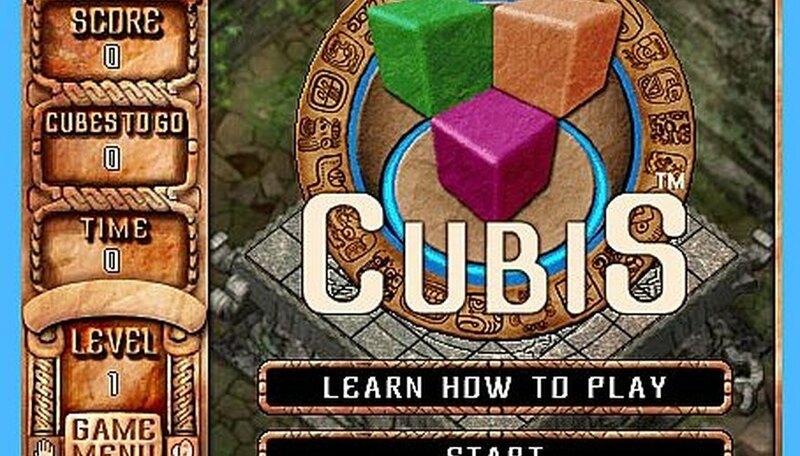 If you haven't played Cubis before, be sure to give the tutorial a try. Use your special cubes wisely. Special cubes such as Wedges, Osmosis Cubes and Laser Cubes all have uses that are very helpful at specific times. Make sure you carefully consider where you use them before you use them. Make sure you clear the Star Cubes. Not only are they worth tons of points if you clear them, they give your score a large penalty if you do not clear them. Bump cubes if you need to. Remember that cubes get bumped backward if there is nothing behind them. Be sure to consider what will happen if you bump your cubes back a space. Remember to stack. It is all too easy to forget that you can stack cubes vertically. Use wedges and build upwards when you can. Work quickly. Cubis is a race against the clock and while it may seem that there is more than enough time to get things done in the early levels, time quickly becomes a very pressing factor. Make your moves quickly, but not so quickly as to leave a bunch of holes in your strategy. Remember, you cannot add any more cubes to a full row without clearing something. Download Cubis! If you find you like the game and want to play more, there is a downloadable version available that contains a bunch of new levels and challenges for you to face.